SPC - Music Sketchpad is an Android app that will let you record, mix, play and perform your own music. 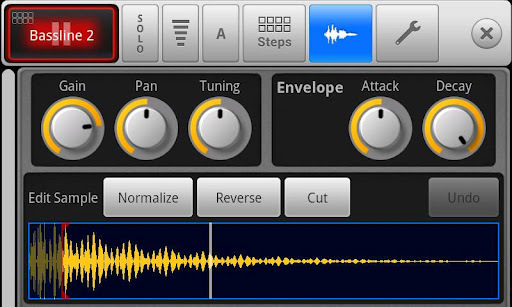 This app lets you sample, sequence and program your own beats on your Android tablet or phone. It has a 16-pad multi touch interface where you can programm your own drum sequences, loops and grooves. This app is optimized for 7 to 10 inch tablets. It is also compatible with RD3 HD - Groovebox.